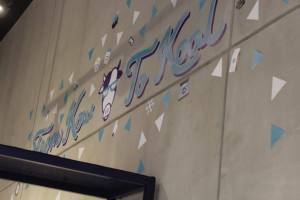 KOOL KIDS is an ice cream house specializing in Liquid Nitrogen Ice Cream just like “The Iscreamist” in Maginhawa Street, Quezon City. 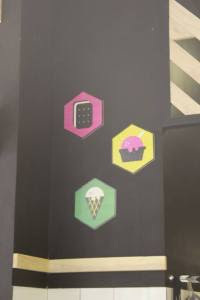 This is a unique dessert place you should not miss when you visit SM Mega Fashion Hall. 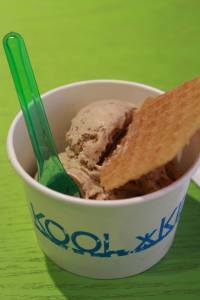 Kool Kids is located on the 5F of Mega Fashion Hall, beside Lucca and near the SM Skating Rink. 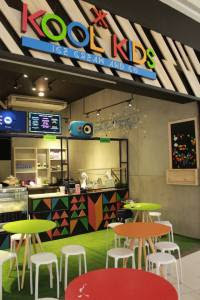 They offer different kinds of flavors turned into ice cream on the spot using liquid nitrogen. 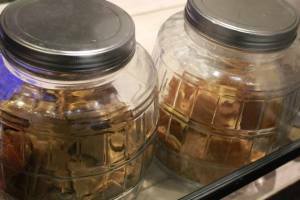 Nuts 4 Nutella (Regular – P120, Large – P190). Nutella-infused. Nutella is an all-time favorite. 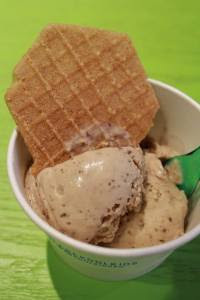 You can really taste the chocolate hazelnut flavor infused into the ice cream. 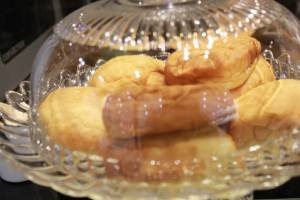 They make their own wafers, which have just the right crunch and sweetness. 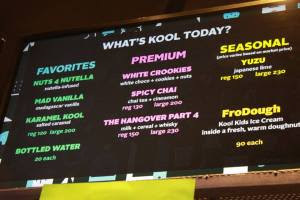 Another fun creation is the FroDough, which is a gourmet take on the dirty ice cream on monay. 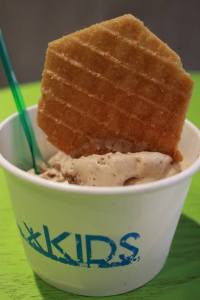 Kool Kids Ice Cream inside a fresh warm doughnut. The liquid nitrogen ice cream is sandwiched into a doughnut. I highly recommend this place if you want to a very unique Ice Cream experience.